Journaling and planning on a Sunday Morning. You can't smell the coffee, but it's filling the room. 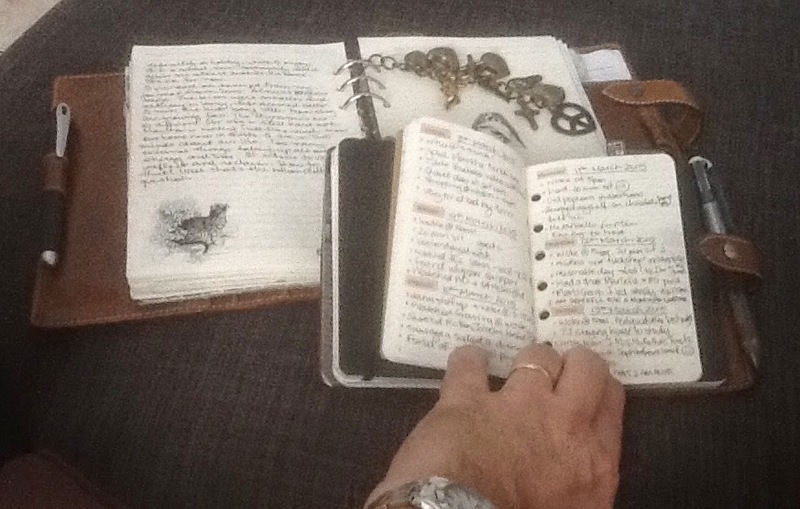 I love getting up in the early morning when it's quiet and writing my week down in my A5 Malden journal. I write small notes in my pocket Moleskine notebook and use it to write things out in more detail. Each night I write down dot points of my day. On the weekend, I write out how my week went and then write in detail what has been on my mind and heart that week. It is a glorious routine I love, is time just for me, and is my quiet space. I am grateful to my Filofaxes for making it such a pleasure able experience.